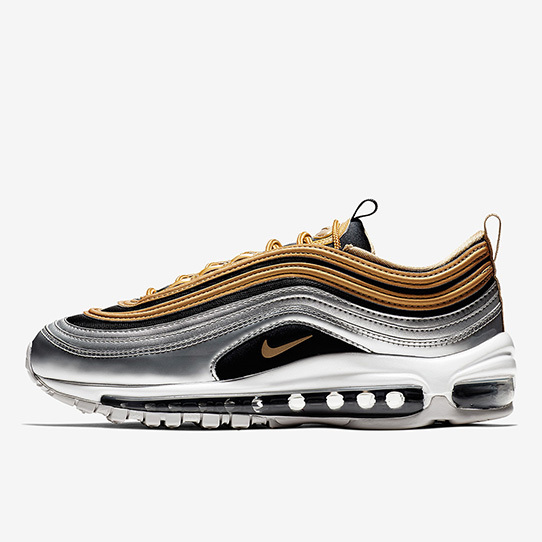 Nike’s irrefutably iconic Air Max 97 is no stranger to metallic constructions. 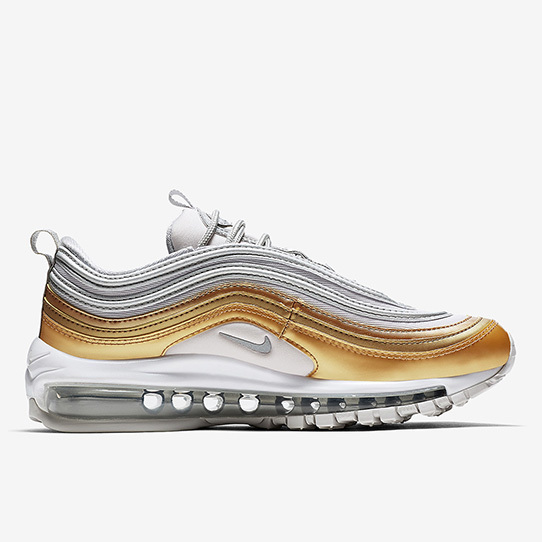 After all, the most recognizable colorway ever bestowed upon the Christian Tresser classic is the shimmering Silver Bullet iteration. 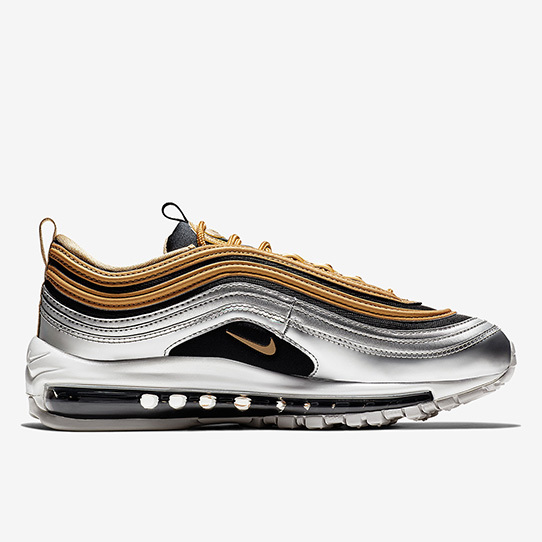 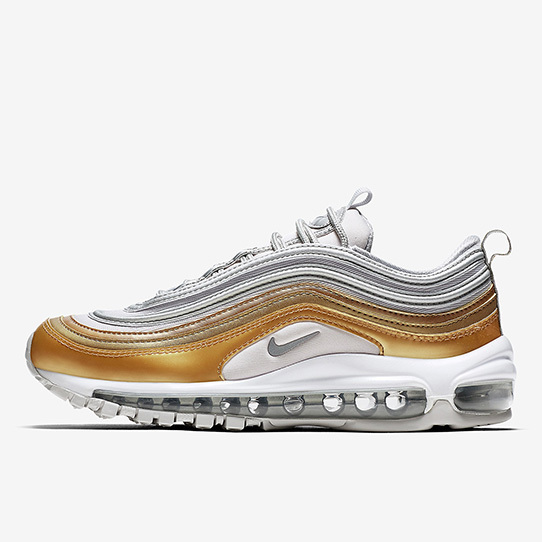 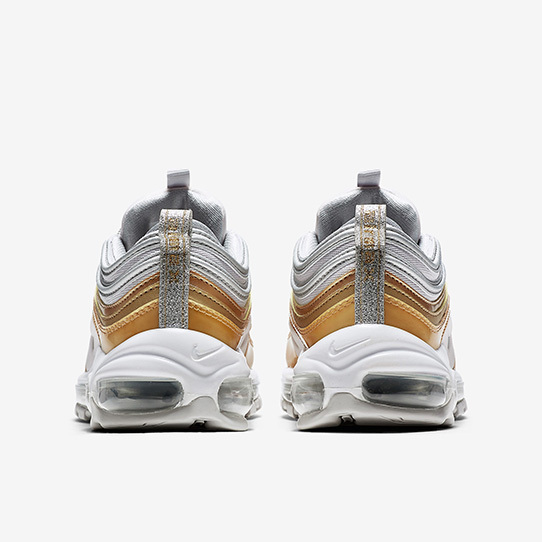 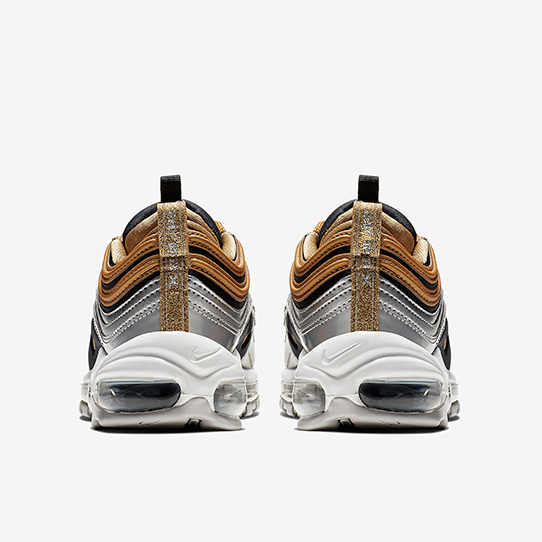 Metallic Gold is another outfit the 97 proudly flaunts, with Bronze having made its way to the speed bullet train-inspired silhouette for the first time this year. 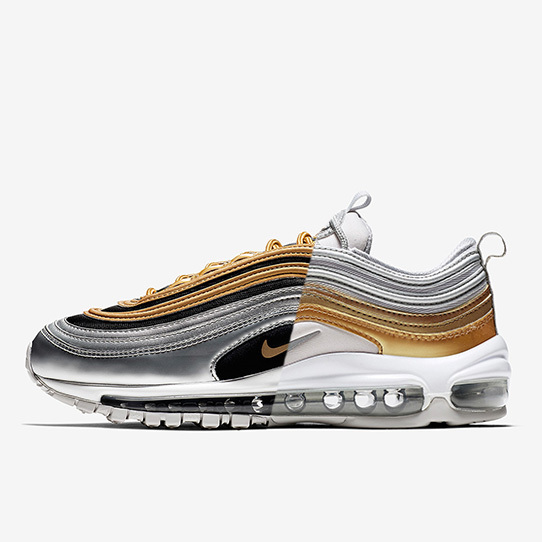 Now, the Swoosh is gearing up to take this aesthetic a step further by way of a two-piece Metallic Gold set that combines the hue’s of first and second place olympic medals with a touch of help from black and white for contrast.